A change of scenery can work wonders for an athlete and Anthony Pettis enjoyed his move up to welterweight in style by knocking out Stephen Thompson. 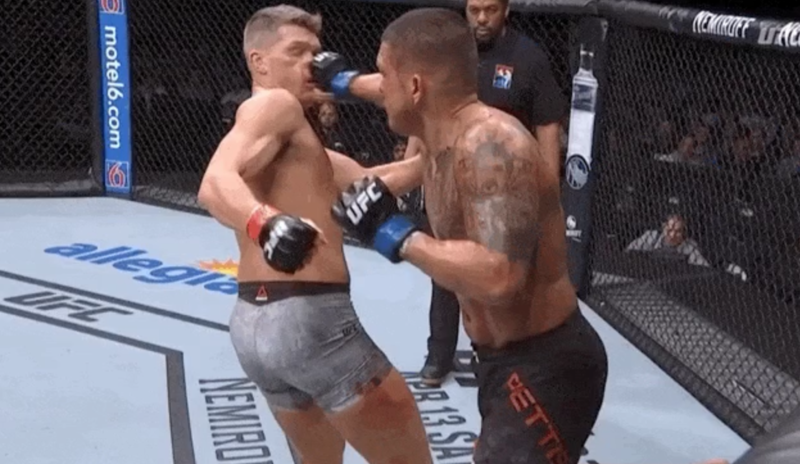 In the main event of UFC Nashville, Pettis knocked Stephen Thompson out with just seconds remaining in the second round. Pettis landed a superman punch after getting hit with a side kick from Thompson. The punch from Pettis sent Thompson to the canvas with his head bouncing off the mat and Pettis managed to land one more strike before the referee ended the fight. The win was Pettis’ first since the summer of 2018 when he defeated Michael Chiesa. Pettis had been struggling with weight cuts at lightweight where he was once the UFC champion. Thompson’s struggles inside the octagon continue as he now has a 1-3-1 record in his last five fights. In the co-main event, heavyweight contender Curtis Blaydes cruised to wide unanimous decision victory against Justin WIllis. Blaydes picked up his first win after getting stopped by Francis Ngannou last November and is one step closer to getting a potential heavyweight title opportunity. Also on the card was top flyweight contender Jussier Formiga getting a win by unanimous decision of his own against Deiveson Figueiredo to keep himself ready for a potential shot at Henry Cejudo’s UFC title.